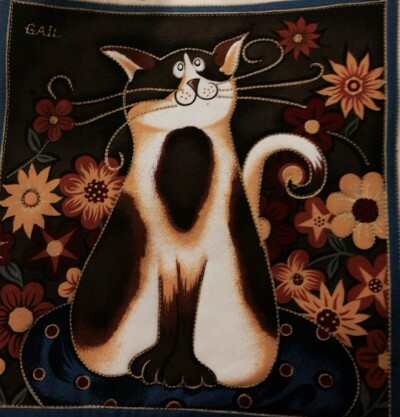 One of the lovely customers at this store, Gail, gave me this charming mug rug with a kitty on it for me…..she knew we were making mug rugs and she had been busy at home with her own versions! Thank you, Gail. Tony, Terry, Lois & Lynn at Findlays Vacuum & Sewing in Vernon, BC always put on a great event and the customers in Vernon sure are some of the friendliest I encounter on my travels. My recent visit was no exception……I had as much fun as the customers…….and the weather was just perfect early summer weather with beautiful warm sunshine to go with their Okanagan hospitality. 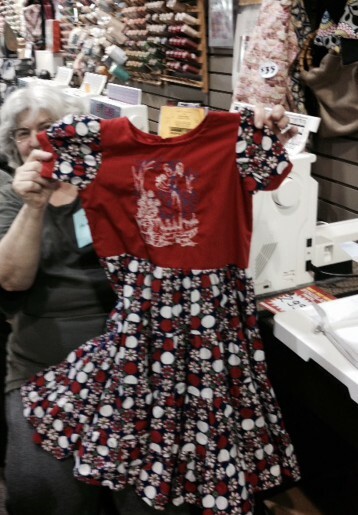 This customer showed us a little dress she made for her grand daughter using the Janome ruffle attachment to make all those ruffled layers on the skirt. 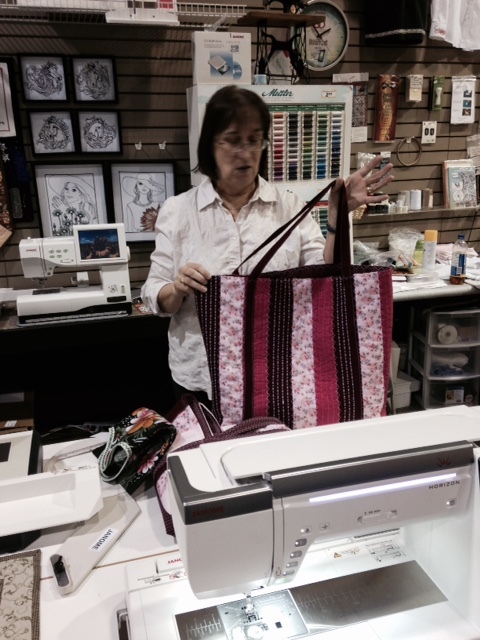 We tried something a little different on my visit to this store recently: in addition to the Quilting workshops we offered customers interested in “test driving” a new machine, we also offered Drop in – Meet the Educator sessions where customers were invited to pop in, bring their queries as well as their Show & Tell. Let me share what they shared! Just look at this lovely big tote bag with decorative stitching. 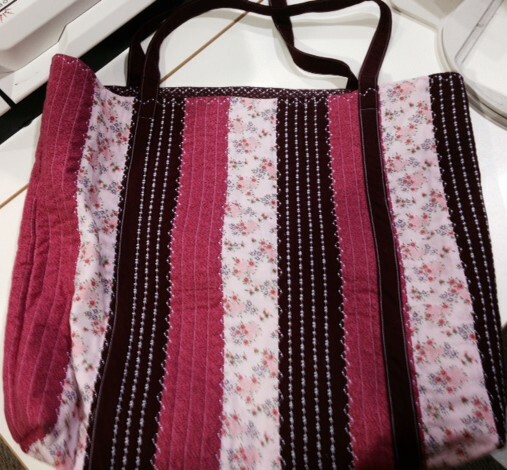 close up …..SEW much we can do with our Janome machines! 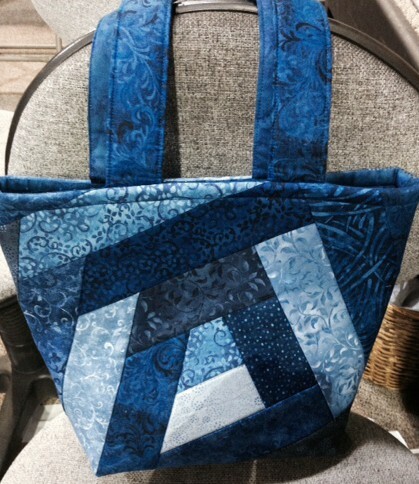 Another lovely bag made by Gail, Customer at Findlays Vacuum & Sewing . 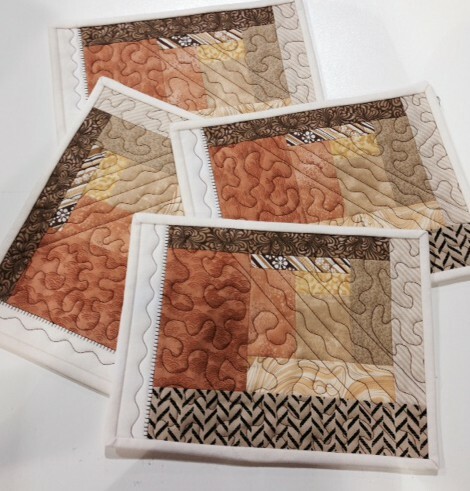 A lovely set of placemats made with our amazing & unique Janome sewing machines & Acufil Quilting system by another clever customer. 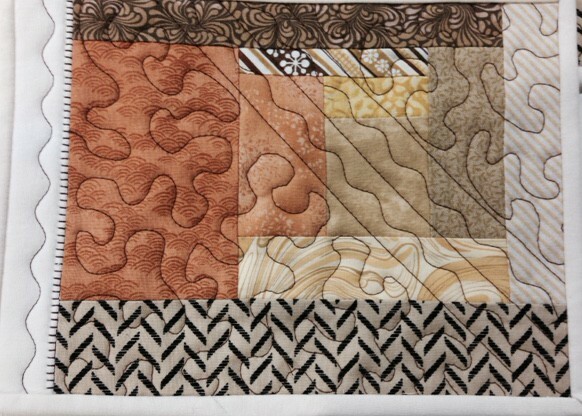 This entry was posted in ACUFIL QUILTING SYSTEM, Creativity, JANOME CONSUMER PROJECTS, Janome Fun, JANOME HORIZON MC15000, JANOME MC 8200, JANOME MC 9900, JANOME PROJECT IDEA, Janome Quilt, Janome Sewing Machine and tagged FINDLAYS VACUUM AND SEWING VERNON BC, JANOME CUSTOMER PROJECTS, JANOME PROJECT IDEAS, Janome projects. Bookmark the permalink. 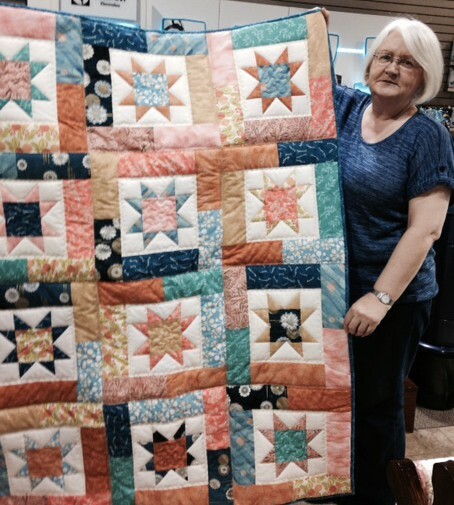 Love your site and especially enjoyed Trina’s sharing about FMQ. Practice, practice, practice. When will you be coming to Victoria next. Not sure……just trying to catch my breath from all my travels since January which are not done yet………then I will arrange my Fall travel. Keep in touch with Judi for more info.